Critical thinking is not an isolated goal unrelated to other important goals in education. Rather, it is a seminal goal which, when done well, simultaneously facilitates a rainbow of other ends. It is best conceived, therefore, as the hub around which all other educational ends cluster. For example, as students learn to think more critically, they become more proficient at historical, scientific, and mathematical thinking. They develop skills, abilities, and values critical to success in everyday life. All of this assumes, of course, that those who teach have solid grounding in critical thinking and in the teaching strategies essential to it. Research suggests that critical thinking is not typically an intrinsic part of instruction at any level. Students reach high school, college, and beyond without training in critical thinking. At the same time, faculty tend to take it for granted as an automatic by-product of their teaching. Yet, without critical thinking systematically designed in instruction, learning is typically transitory and superficial. What can we do? There are no easy answers to this problem, for students and instruction will not be transformed over night. However, with well-designed long-term professional development in critical thinking, faculty can begin to teach for critical thinking. Click to read Dr. Linda Elder's Times Higher Education article on long-term staff development. 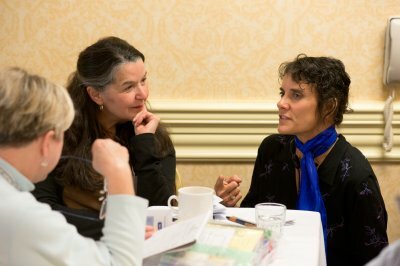 Having conducted successful workshops at many hundreds of institutions for more than 100,000 educators, the Foundation's distinguished presenters know how to lay the necessary foundations and then build for the future through follow-up workshops. Highly practical, each workshop is designed to ensure that participants think their way through critical-thinking concepts and principles, then apply these concepts and principles to the redesign of instruction. Click to request more information about our Profesisonal Development and Inservice programs.